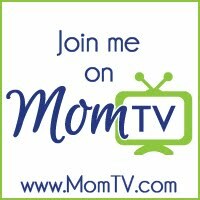 OC Mom TV is the #1 Resource for families living and traveling to Orange County. Shelby Barone, the founder of the OC Mom Media, was born and raised in Orange County. Along with a team of talented writers, OC Mom Media, highlights the best adventures, fun, and creative ways for families to enjoy visiting and living in Orange County. OC Mom TV is part of the largest family based Orange County Media brand, OC Mom Media. We have expanded to include to ocmomblog.com and the ultimate OC dining guide at ocmomdining.com. OC Mom Media will continue to expand in 2014 with the launch of their new multi-media app ocmomguide and travel website ocmomtravel.com. We look forward to partnering with you to help grow your brand to a large local and national audience.